MSF faces increasing challenges in offering full immunisation to children in our projects. The rising price of the basic vaccines package means that we can't afford to protect kids living in crisis, and nor can many countries who want to protect their children. Vaccination is a cornerstone of Médecins Sans Frontières’ (MSF) work to reduce illness and death caused by preventable diseases. While global immunisation coverage reached 84% in 2013, in some places vaccination rates have stagnated, leaving behind children chronically unimmunised and unprotected. For more than 40 years, MSF has been at the forefront of vaccine delivery in crisis contexts, and in response to outbreaks of vaccine-preventable diseases. We also conduct routine immunisation in areas where health systems have failed. Whether vaccinating refugee children in South Sudan, or pregnant women in Afghanistan, MSF has committed itself to prioritising vaccination as a core health service in its operations. In 2013 alone, our programmes delivered more than 6.7 million doses of vaccines and immunological products, and we see the need to ramp up our activities even further. However, the organisation increasingly faces challenges at the field and global levels in expanding capacity to address immunisation needs. MSF had been working since September 2012 to procure PCV for use in Yida camp, South Sudan, but faced significant delays because of lengthy negotiations and international legal procurement constraints. 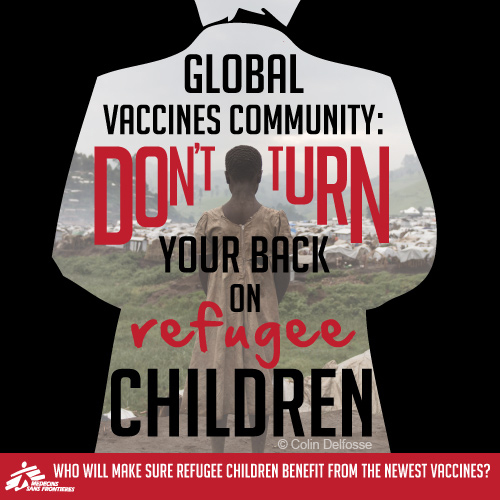 The barriers encountered by MSF, including the rising cost of new vaccines and the lack of vaccine products suited for low- resource settings, are also obstacles for affected countries. As MSF uses newer vaccines more frequently in crisis settings, in line with the recently developed World Health Organization (WHO) guidelines on vaccinating in humanitarian emergencies, the challenges we face in purchasing vaccines at an affordable price have become acute. In addition, countries that are unable to afford these high prices are increasingly voicing their frustration at the inability to protect their children against life-threatening – but preventable – diseases. This second edition of The Right Shot outlines how the prices of 16* fundamentally important vaccines have evolved since their development, in some cases as far back as 2000. 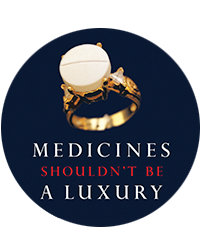 The report analyses how prices are affected by the fact that a few multinational companies dominate the market, a lack of competition, various procurement strategies and purchasing conditions, and the business practices of the pharmaceutical industry. The publication consolidates and analyses vaccine price data points from countries, UNICEF, Pan American Health Organization (PAHO), MSF, and pharmaceutical companies. By examining the differences in pricing strategies used by companies based in emerging economies (developing- country manufacturers) and multinational companies (industrialised-country manufacturers), the publication explains how multinational pharmaceutical companies use their first-to-market advantage to reap blockbuster revenues, and are increasingly moving beyond high-income countries in seeking other profitable markets. It also demonstrates how entry of additional manufacturers with WHO-prequalified vaccines, in particular developing-country manufacturers, stimulates competition and drives down prices. Vaccines against pneumococcal disease and human papillomavirus are two important new tools for saving lives and protecting health. They’re also under patent - and expensive. Our report, “A Fair Shot for Vaccine Affordability,” finds that patents threaten access to crucial new vaccines like these. An overarching challenge that MSF faces in analysing the vaccine market is the lack of data on prices and the notoriously opaque nature of the market; this lack of transparency also inhibits efforts to improve affordability. Price secrecy is ubiquitous in the vaccines market, putting countries and other purchasers at a distinct disadvantage when negotiating with companies. While Gavi, the Vaccine Alliance, has helped to lower prices of new and underused vaccines for its eligible countries – originally the poorest 73 countries of the world – the cost to fully immunise a child has nevertheless skyrocketed. Even at the lowest global prices, the introduction of the newest vaccines against pneumococcal and diarrhoeal diseases (pneumococcal conjugate and rotavirus vaccines, respectively), and against cervical cancer (human papillomavirus vaccine) has increased the cost of the full vaccines package 68-fold from 2001 to 2014 [see box, page 6], calling into question the sustainability of immunisation programmes after countries lose donor support. Of particularly serious concern is the impact of this drastic increase on most middle-income countries (MICs), which are benefitting neither from lower prices negotiated by organisations such as Gavi, nor from international donor support. Many children living in MICs are not benefitting from new, life-saving vaccines as a result of irrational and unaffordable pricing policies; some of these countries even have lower immunisation coverage rates than Gavi-eligible countries. Finally, while recent years have seen the introduction of several new vaccines that offer significant potential to reduce childhood deaths, there has been little investment in adapting – or optimising – vaccine products to resource-limited contexts. Most vaccines still need to be refrigerated in a rigid ‘cold chain’ until the moment they are administered, which is an immense challenge for places without electricity. Multiple doses are needed to fully protect children, and bulky products complicate transport to remote areas. These are some of the obstacles that annually prevent almost 22 million children under one year of age from receiving the basic package of life-saving vaccines. Whether in a small village in rural Congo or a refugee camp in Iraq, vaccine delivery can be extremely difficult and costly to execute. A growing body of evidence, including MSF research, shows that some vaccines can remain effective outside of a strictly regulated temperature range, and rapid steps to re-label vaccines for their true heat stability are needed, along with further investments in better adapted products. Vaccine commodities themselves account for almost half of the 57 billion US dollars (US$) needed to finance the Decade of Vaccines – the global framework for expanding access to immunisation from 2011 to 2020. In the meantime, many countries, especially middle-income countries, are unable to afford the newest vaccines for their populations, nor can organisations such as MSF provide these vaccines to crisis-affected children, because of the very high price tag. Better solutions that can make new quality-assured vaccines more affordable and adapted to the environments where children are most vulnerable are urgently needed. Efforts to accelerate real competition in the vaccines market will deliver the most sustainable price reductions; in the interim, procurement strategies that benefit as many countries as possible should be pursued. Collective action is needed to improve price transparency and ensure affordable prices for quality- assured vaccines in all countries, so that governments can make the benefits of immunisation accessible to their populations. Shedding more light on the vaccine industry will benefit children everywhere. Additional publications in the Right Shot report series are available here. Learn more about MSF’s work to improve access to lifesaving vaccines.